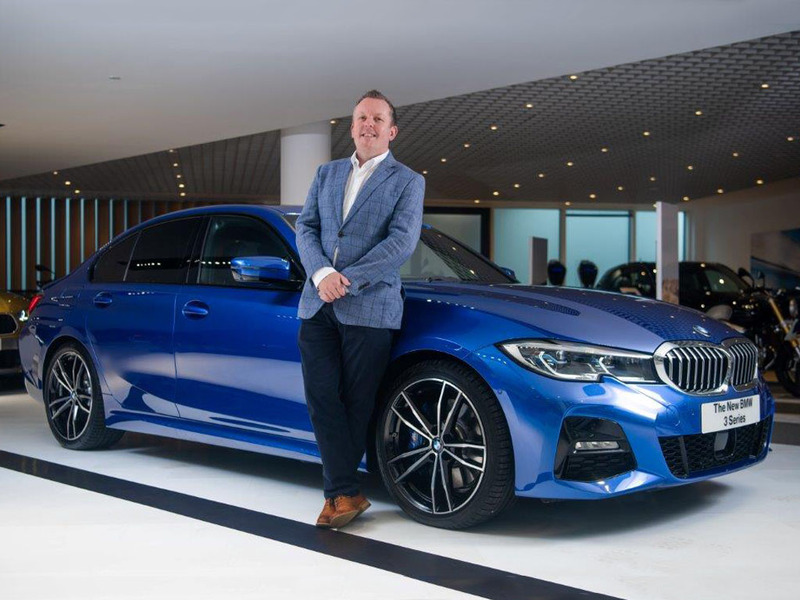 Following his move to BMW from Mercedes-Benz in August last year, Rob East, general manager, corporate sales at BMW Group, shares the Bavarian brand’s corporate plans for the coming year, brand electrification and beyond. After less than a year in the role, East has laid out his plans for the future of BMW fleet sales in a climate where Brexit, WLTP, RDE2 and falling diesel sales are each taking their toll. The influx of new emissions regulations has cost the company money, undoubtedly, as fleets have been unsure as to which cars to choose without being stung by unexpected tax if those vehicles turn out to be penalised at a later date. BMW and Mini were both quick to ensure all models were WLTP tested and BMW has been an early player in the electrified scene that has become such an important part of business purchases thanks to attractive credentials – the 330e plug-in hybrid the second best-selling model in the 3 Series line-up after the diesel and that success is expected to continue. Further corporate alignment has taken place in the form of bringing together the corporate teams from BMW and Mini in the UK to align and complement rather than compete with each other. BMW plans to focus on five key pillars this year. “The first is ‘People’: making sure we have the right [team] structure to engage with an ever changing corporate market. That’s very much from an OEM and NSC (National Sales Company) perspective. But it’s also making sure we have the right infrastructure with our retail partners,” East comments. And leaning on BMW’s populist nature, customers are often keen to support the brand through thick and thin. That brand loyalty hasn’t gone unnoticed and is just as relevant for fleets, “One thing I’ve been impressed by is not just the depth of the customer relationships we have but also the level of passion there is,” comments East proudly. The next stage is recognising the company’s considerable and growing technological developments. This has led to a technological leadership, believes East, but using it to differentiate the brand in the market is no simple task. Of course, electrification of the brand has helped enormously with this image and the support the company has given to the likes of Formula E has allowed it to nurture this stance on a global scale. This year is particularly active for BMW, with 18 model launches of which 9 are incremental and 8 are luxury models. Importantly, by the end of the year, the BMW range will be the youngest across the segment. Following the fun new Z4 and business-focused 3 Series launches this year, the 8 Series convertible, new X7 (that takes the fight to the Mercedes-Benz GLS and Range Rover for the first time), will be joined by the 7 Series LCI (BMW speak for facelift) and a new 1 Series. East believes most BMW models have a place in fleet, even at the higher end and sports car, though he alludes to a new focus on the 7 Series for corporate buyers, likely based on his experience at Mercedes-Benz and its success with the rival S-Class. As for BMW’s electrification plans, midway through this year will see the launch of the updated BMW i3 featuring a new 120Ah/42.2kWh battery (up from the current 94Ah type) that should offer a true range of 160 miles per charge. This will be followed by the new generation 330e that provides up to 37-miles range per charge and with less than 40g/km CO2, enabling more journeys to be completed on electric power than previously possible. The updated X5 xDrive45e and then the 7 Series plug-in hybrid will further expand the plug-in range. Each of these is seen as important cars for fleets with varying reasons, whether it’s a car rental firm, car sharing scheme or regular annual business mileage. Next up, BMW will begin building the iX3 towards the end of next year, with the car’s intended sale in 2021. The i4 is due in 2021, most likely arriving in the UK in 2022, and was designed from the ground up as an electric car. However, Fleet World can reveal that the car will be offered with combustion engines as well. On electric power though, BMW Group has already stated the car should be good for a not inconsiderable 372-miles per charge. “Our expectation is that there will be a significant market for these cars in 2021,” East adds. Looking slightly further into the future, Fleet World can reveal the iNext (concept codename), that is largely based on an X5, won’t be called the iX5. This car is destined to introduce the next stage of the company’s autonomous driving technology, likely Level 3 – which should allow for full autonomous driving along certain road types, e.g. a motorway, though legislation is said to be behind what carmakers can produce today and is the restricting factor. In addition, at the start of 2020, the new Mini three-door hatch will be released as a full electric version for the first time and a decade after the original Mini E.
“With 25 electrified models by 2025, the breadth and speed of change shows no signs of slowing down,” East concludes. The industry buzzword of the moment, ‘mobility’ is one of those terms banded about that always seems to be placed at some indeterminable time in the future, and never ‘now’. However, with brands like DriveNow taking off and, with the general global shift to urbanisation and particularly the growth of countries including China, combined with the complexity in the automotive market with factors such as Low Emission Zones, BMW has a firm eye on a ‘mobile and shared automotive future’.